Are you campaigning for intersex rights? Are you supporting intersex groups in their campaigning efforts? Discover how to frame your messages about intersex issues. 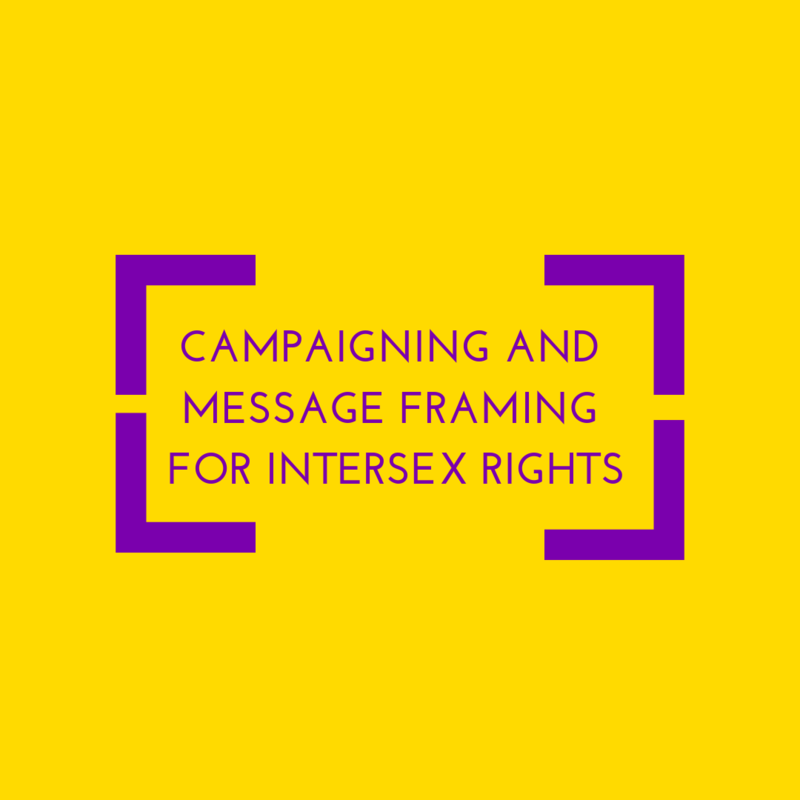 Register now for ILGA-Europe’s interactive webinar: Campaigning and message framing for intersex rights. ILGA-Europe will host an interactive webinar on campaigning and message framing for LGBTI activists and allies working on intersex rights. They will look into the experience of activists around Europe, and put into practice the framing techniques explored in the previous webinars of the strategic communication series. You will hear from Audrey Aegerter, InterAction – Switzerland, Irene Kuzemko, Intersex Russia, and Loé Petit Collectif Intersexes et Allié.e.s. – OII France. The webinar will take place on Tuesday, 18 December 2018, from 17.00 to 18.30 CET (Central European Time). To attend the webinar register here. You can’t attend the webinar? Register to receive the recording!